Also check out our primer on Metal Gear’s complex history before starting Metal Gear Solid V.
The beauty of Metal Gear Solid V: The Phantom Pain is that it is everything that creator Hideo Kojima always wanted in a Metal Gear game. Just like the last two decades of Marvel films, the technology simply had to catch up with the vision. In Kojima’s case, it meant having the means to craft an expansive and detailed open world, or in The Phantom Pain’s case, two open worlds. 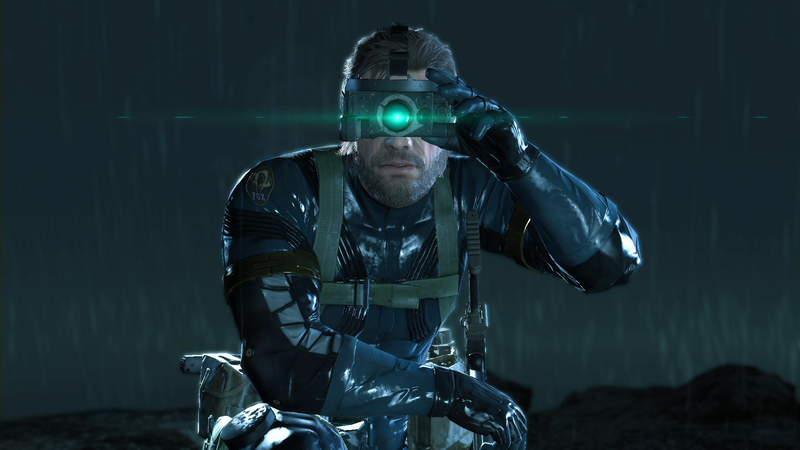 Depending on how experienced you are in the series’ stealth gameplay, you might assume that an open environment would be an advantage to protagonist Big Boss. He does in fact have more avenues and opportunities than ever to infiltrate a stronghold, but his foes are smarter and more assertive than any enemy he’s faced previously. Lastly, it wouldn’t be a Kojima-helmed Metal Gear without some batshit plot developments, though you might be surprised how these twists and turns are presented. Here’s a spoiler-free list of what else you should expect from The Phantom Pain. 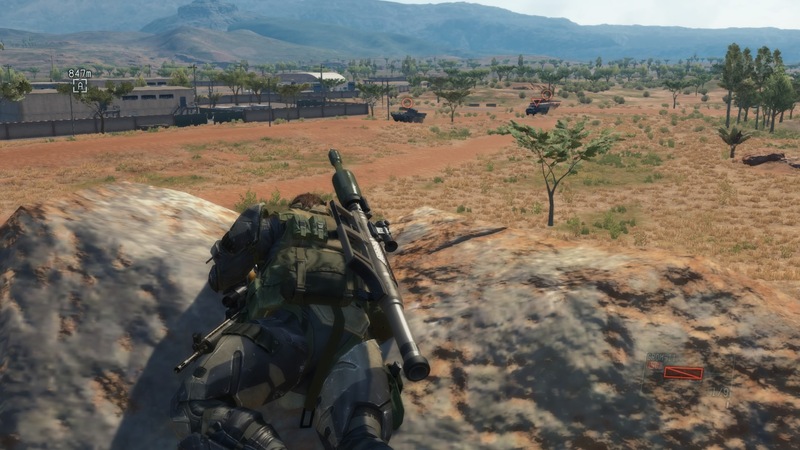 Kojima Productions’ interpretations of Kabul and the Angola-Zaire border are chocked full of missions but these lands are also vast in the right places. From the deserts to the savannahs, the access and practicality of riding a horse rivals the traversal appeal of Red Dead Redemption. These large, mostly uneventful spaces lend a sense of realism to The Phantom Pain’s environments. Hideo Kojima still respects his stealth enthusiast fanbase but he also understands that there are fans who prefer more run-and-gun approaches. Many missions give you the opportunity and flexibility to dictate how much adversity you want to face, whether you use your dog buddy to mark every enemy in a fortress or if you want to preemptively thin out enemy numbers with a bomb strike. The Phantom Pain can be beaten with force but its greatest rewards, like unlockables and S ranks are saved for ghosts. It might be simplistic to describe The Phantom Pain as “Red Dead Redemption meets Splinter Cell: Blacklist” but that does not make it any less true. Transitioning from the open valleys of Afghanistan to a confining, goal-minded infiltration assignment within one of the game’s many fortresses is a seamless and frequent occurrence. The Phantom Pain is brilliant for being pure Metal Gear while also being unlike any other Metal Gear game before it. Last year’s Metal Gear Solid V: Ground Zeroes aptly tees up The Phantom Pain’s story and even presents a fitting training mission, so playing the former first is mandatory. The guards of Camp Omega aren’t perfect in their duties, but their sense of sight would put the Shadow Moses next-gen special forces to shame. If you put them in an alert state, getting them to give up their pursuit is nearly impossible. Expect the same level of adversity in The Phantom Pain. It took me about 40 hours to beat The Phantom Pain’s story and I just passed the 100 hour mark overall in the hopes of reaching 100% completion; that’s how much optional content there is. It’s not surprising for a game with two open worlds, but it’s still daunting for a Metal Gear game. The good news is that many side missions feature the same objectives a dozen times over. The bad news is that it can get repetitive. At least you get to help an animal conservation group by collecting wild animals like bears. Don’t expect an MGS: Substance or Subsistence-like upgrade in the future because The Phantom Pain is already content-rich as it is. Even as recently as Metal Gear Solid 4: Guns of the Patriots, the series had mostly adhered to its 8-bit boss fight roots by pitting its protagonist against a series of specialists. From Vulcan Raven to Raging Raven, their expertise would make them some of the best Cobra (or G.I.Joe) characters that Hasbro wish they invented. 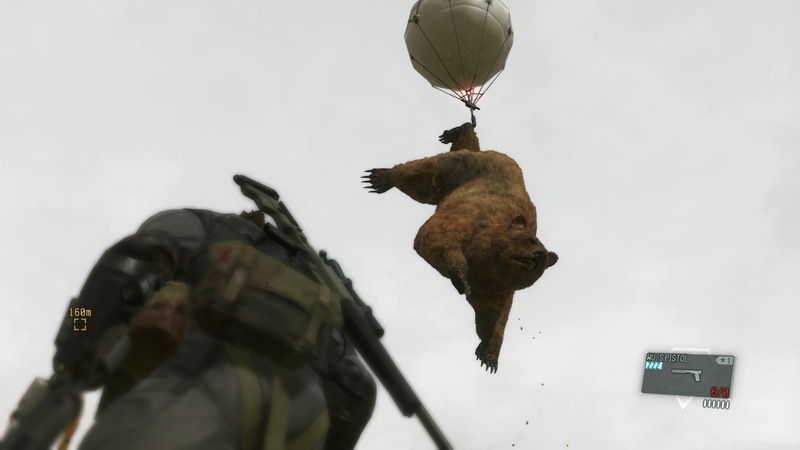 You don’t have these kinds of bosses in The Phantom Pain. You’ll mostly deal with The Skulls, a group of nondescript super soldiers who operate in foursomes and whose teleporting abilities make them a headache. What the game does manage to preserve is the sense of pressure-induced problem-solving found in practically every Metal Gear boss fight. There’s at least one fight where you’ll grind it out with almost every weapon and item in your inventory. In another battle, you’ll die a dozen times only to realize the boss’ weakness was in plain sight. And there’ll be the boss fight where you’ll end up victorious due to a borderline exploit. In other words, you’ll experience the full array of Metal Gear boss fight methodologies. Of the many things that differentiates Big Boss from Solid Snake is that Solid Snake was never destined to be a leader. 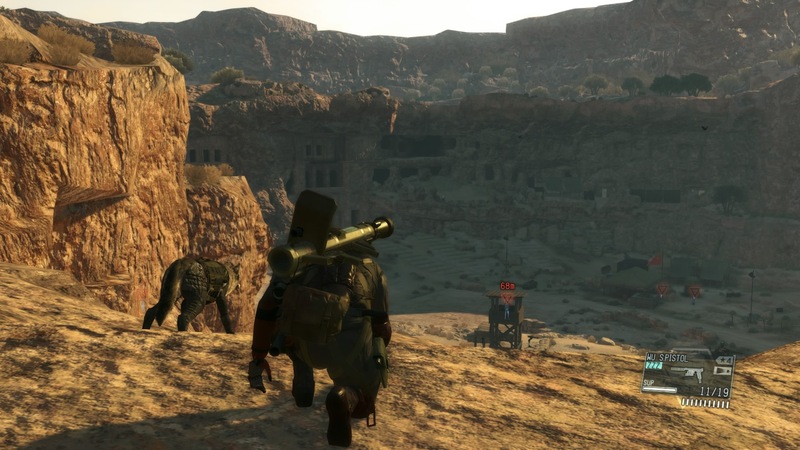 Building on the troop management foundation laid in Metal Gear Solid: Portable Ops and Peace Walker, the series’ base development gameplay is fully realized in The Phantom Pain. 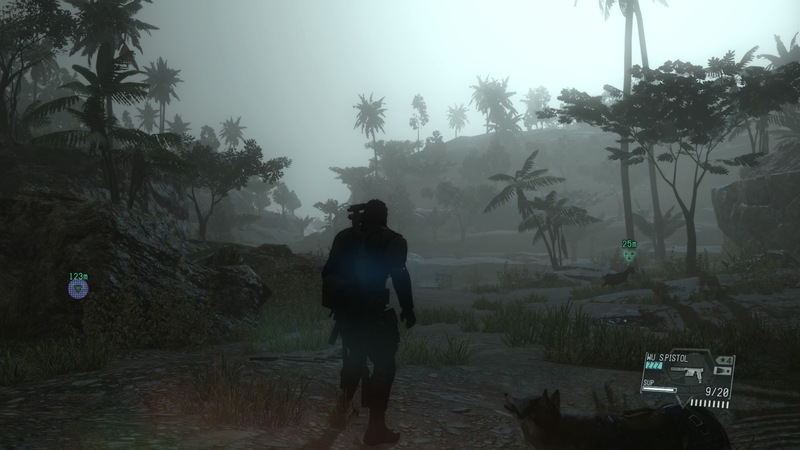 Known at the Mother Base, spending time on this feature is essential to completing the game even if it takes you away from action in the field. Your subordinates are the designers of your weapons and gear and it’s your job to keep their morale high. You can do this by sparring with them in periodic training sessions. In other words, they would love it if you can kick their asses. If The Phantom Pain is Hideo Kojima’s most personal project, you’d be hard-pressed to find biographical touches in the narrative. Instead, look to the game’s borderline fetishization of the Sony Walkman, the consumer electronic icon of the 1980s. From its brushed metallic accents to the authentic button clicks, I can relate to Kojima’s nostalgic fondness for this once-omnipresent device. 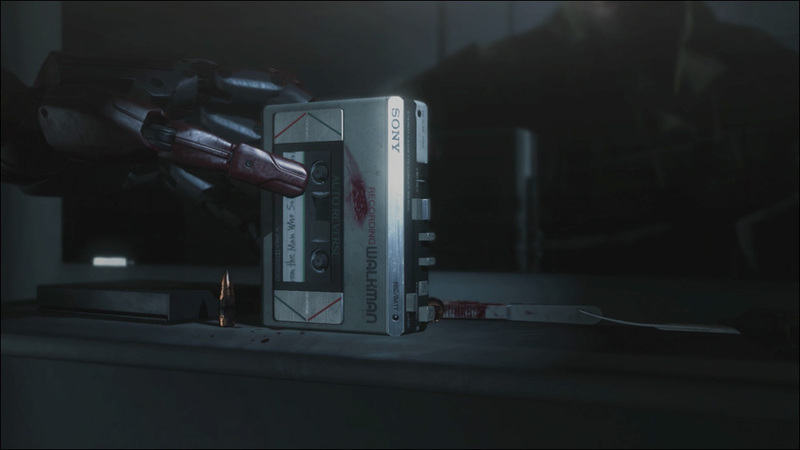 With both Ground Zeroes and The Phantom Pain, music has never been more important to a Metal Gear game. David Bowie works as a thematic bridge between both games, transitioning the former’s 1974/1975 timeline with the latter’s 1984 setting. 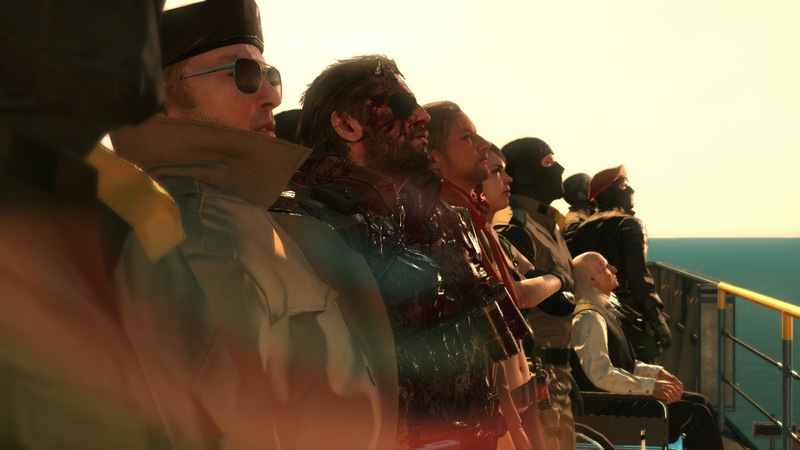 Moreover, the truth-revealing cassette that frames The Phantom Pain is labeled “From The Man Who Sold The World” while Big Boss’ army of soldiers without countries is named Diamond Dogs. Imagine invading a base while listening to Dead or Alive’s “You Spin Me Round” and completing your mission before the song is over. 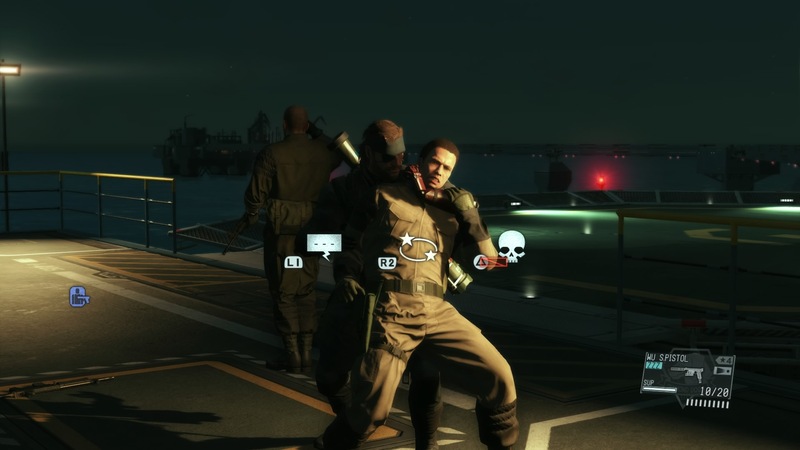 You can absolutely do that in The Phantom Pain. One-sided cassette singles are part of the myriad collectables scattered throughout both regions. 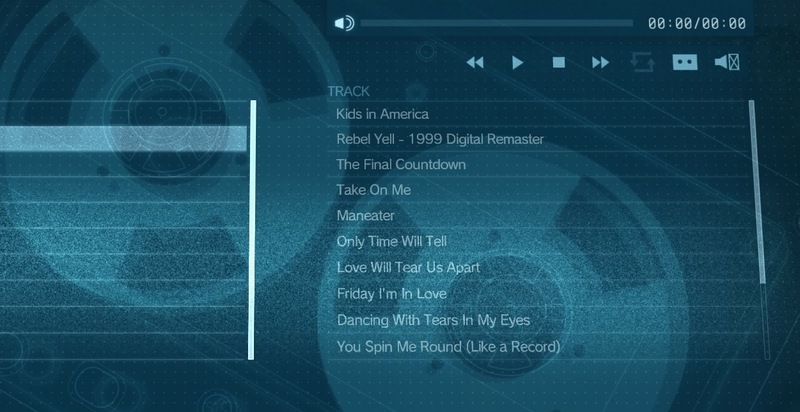 You can take on lethal wolves to Hall and Oates’ “Maneater” or save a prisoner to A-ha’s “Take On Me.” You can go on a sniping spree to The Cure’s “Friday I’m In Love” even though its 1992 release is not in sync with The Phantom Pain’s 1984 setting. It’s not a big deal since that song marked the last time The Cure sounded like an ‘80s band anyway. 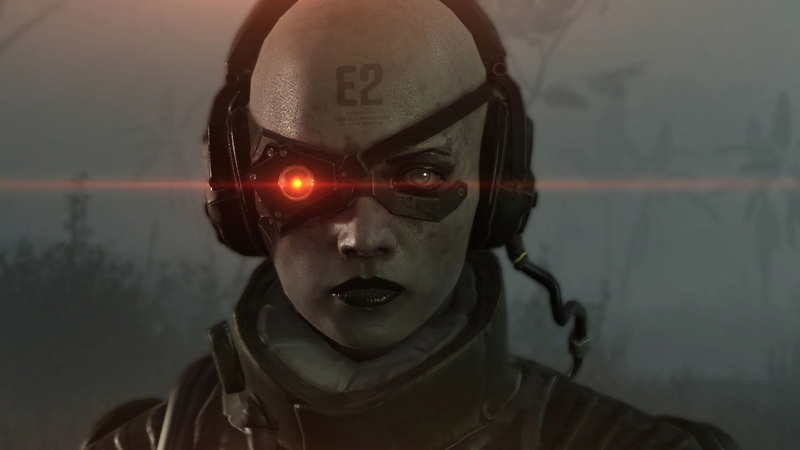 The fingerprints from practically all the canonical Metal Gear games can be found in The Phantom Pain’s story, even the future events from Solid Snake’s missions. If you paired the stories of Metal Gear Solid 4: Guns of the Patriots with The Phantom Pain, you end up with double the closure. No sane Metal Gear fan could have expected the amount of loose ends Guns of the Patriots managed to tie up. Complementary to the conclusions of Guns of the Patriots, The Phantom Pain takes us closer than ever to where the series began: Operation Intrude N313 and Outer Heaven. If a Metal Gear Solid 6 is in the works, I’m crossing my fingers it transitions to that inaugural mission of Solid Snake. Based on the narrative revelations in The Phantom Pain, there are more stories that can be told during the mid to late ‘80s.